We have nearly unlimited access to information and data. For search marketers, this can be a blessing or a curse. It’s very easy to get sucked into the never-ending pool of data — but this rarely, if ever, benefits our work. So how do we protect ourselves from information overload? Futurologist Alvin Toffler predicted in 1970 that the rapidly increasing amounts of information produced would eventually cause people problems. 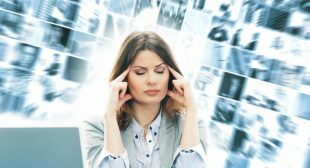 More than a few times, I’ve found myself overwhelmed and overloaded with information, and my guess is that you have also experienced this phenomenon. If you take your SEO seriously, then you understand the necessity of tracking your efforts — after all, data is at the core of good SEO. The post “A balanced approach to data-driven SEO” appeared first on Search Engine Land.